Ishii was born in the former Shibayama Village of Sanbu District in Chiba Prefecture, and studied medicine at Kyoto Imperial University. He was commissioned into the Imperial Japanese Army in 1921 as an army surgeon, second class (surgeon lieutenant). In 1922 he was assigned to the 1st Army Hospital and Army Medical School in Tokyo. There his work impressed his superiors enough to gain him post-graduate medical schooling at the Kyoto Imperial University two years later. During his study at the Kyoto Imperial University, Ishii would often grow bacteria “pets” in multiple petri dishes. His odd practice of raising bacteria as companions rather than as research subjects made Ishii notable to the staff of the university. Vuoi saperne di più sugli esperimenti sulle cavie umane? 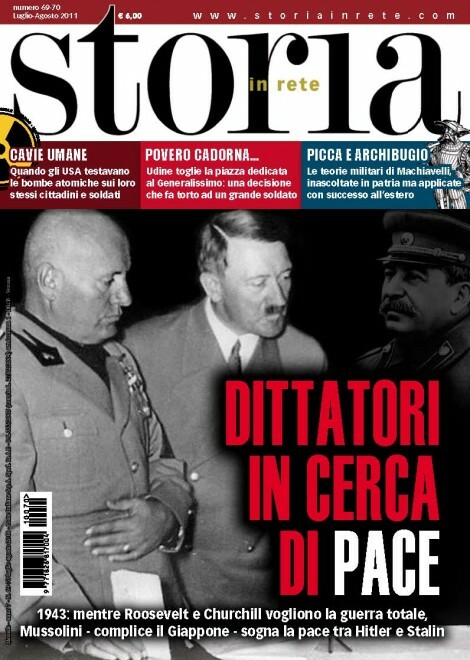 Leggi Storia in rete n. 69-70! In 1932, he began his preliminary experiments in biological warfare as a secret project for the Japanese military at Zhongma Fortress. He was promoted to senior army surgeon, second class (surgeon lieutenant-colonel) in 1935. In 1936, Unit 731 was formed. Ishii built a huge compound — more than 150 buildings over six square kilometers — outside the city of Harbin, China. The research was secret, and the cover story was that Unit 731 was engaged in water-purification work. Ishii was promoted to senior army surgeon, first class (surgeon colonel) in 1938. On 9 February 1939, he gave a lecture on bacteriological warfare in the War Ministry Grand Conference Hall in Tokyo. One of the attendees was prince Yasuhito Chichibu, Hirohito’s (the 124th Emperor of Japan) brother, who also watched vivisection demonstrations by Ishii. He was decorated with the Order of the Golden Kite, Fourth Class, in October. From 1940, Ishii was appointed Chief of the Biological Warfare Section of the Kwantung Army, holding the post simultaneously with that of the Bacteriological Department of the Army Medical Academy,and was promoted to surgeon major-general in March of the following year. In 1942, Ishii began field tests of germ warfare agents developed, and various methods of dispersion (via firearms, bombs etc.) both on Chinese prisoners of warand operationally on battlefields and against civilians in Chinese cities. Some historians estimate that tens of thousands died as a result of the bio-weapons (including bubonic plague, cholera, anthrax and others) deployed. His unit also conducted physiological experiments on human subjects, including vivisections, forced abortions, and simulatedstrokes, heart attacks, frostbite and hypothermia. From 1942–1945, Ishii was Chief of the Medical Section of the Japanese First Army. He was promoted to surgeon-general in March 1945 and in the same month, he also planned to launch biological weapons against San Diego, California, by utilizing kamikaze planes (see Operation Cherry Blossoms at Night). In the final days of the Pacific Warand in the face of imminent defeat, Japanese troops blew up the headquarters of Unit 731 in order to destroy evidence of the research done there. As part of the cover-up, Ishii ordered 150 remaining subjects killed. In all, more than ten thousand people, of which around 600 every year were provided by the kempeitai (Japanese secret police), were subjects of the experimentation conducted by Unit 731. These were called by Ishii and his peers maruta “logs,” a term originating either in the view of subjects as inert, expendable entities or possibly in the cover story told to locals that the facility contained a sawmill. 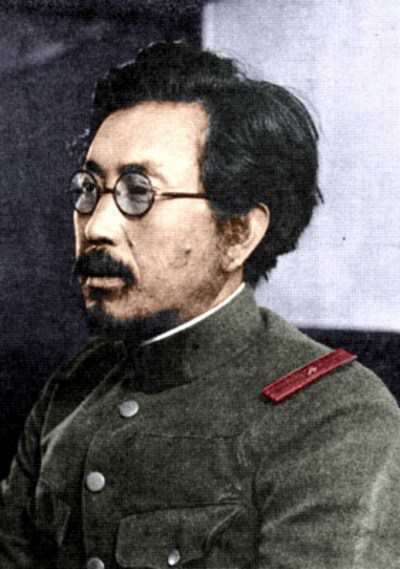 Arrested by the US occupation authorities at the end of World War II, Ishii and other Unit 731 leaders were to be thoroughly interrogated by the Soviet authorities. Instead Ishii and his team managed to negotiate and receive immunity in 1946 from war-crimes prosecution before the Tokyo tribunal in exchange for their full disclosure of germ warfare data based on human experimentation. Although the Soviet Russian authorities wished the prosecutions to take place, the United States objected after the reports of the investigating US microbiologists. Among these was Dr. Edwin Hill (Chief of Fort Detrick), whose report stated that the information was “absolutely invaluable”, it “could never have been obtained in the United States because of scruples attached to experiments on humans”, and “the information was obtained fairly cheaply”. On 6 May 1947, Douglas MacArthurwrote to Washington that “additional data, possibly some statements from Ishii probably can be obtained by informing Japanese involved that information will be retained in intelligence channels and will not be employed as ‘War Crimes’ evidence.” The deal was concluded in 1948. In this way Ishii was never prosecuted for any war crimes. Richard Drayton, a Cambridge University history lecturer, claimed that Ishii later went to Maryland to advise on bioweapons. If Ishii did travel to Maryland, it was most likely to advise at Fort Detrick, a well known major biomedical experimentation facility in Frederick, Maryland. Another source says he stayed in Japan, where he opened a clinic where he did examinations and treatments for free. He was especially concerned with the health of children. He kept a diary but it did not reference any of his wartime activity. By the close of WW11, Ishii – now ranked a Lt. General – bound his subordinates to an oath of secrecy. Thereafter members of Unit 731 made their way home, after first destroying the Pingfan facility and other sites, as best they could. Despite claims that all, or most of the – all important – records were destroyed in the clean-up exercise, it is thought that many were buried by Ishii, for later retrieval. Despite their precautions, Allied intelligence had sizeable dossiers on the leading Japanese microbiologists. The Americans, especially, believed they were way behind the Japanese in the field of Biological Warfare. US military strategists appreciated the tactical benefits of germ warfare. Biological agents could be introduced in to a war zone covertly. In fact, Ishii had done this on a number of occasions in China and elsewhere. He died of throat cancer at the age of 67, having, according to his daughter, converted to Catholicism on his death bed.